If there was one jacket from 2017 that you guys loved the most, it had to have been this one . It sold like crazy on my site EVEN with the price being high. Why?! Because it’s one of those splurge pieces that will last you for years, is always on trend and is the best layering piece with anything. Not only that, but it comes in a huge variety of colors and fits you normally OR pregnant! Why am I just posting about it now?! Well, when I asked you guys on Instagram what you wanted to see on Ashleydonielle.com in 2018, a couple of you asked me if some of the high end / high priced pieces that I share about are worth it. 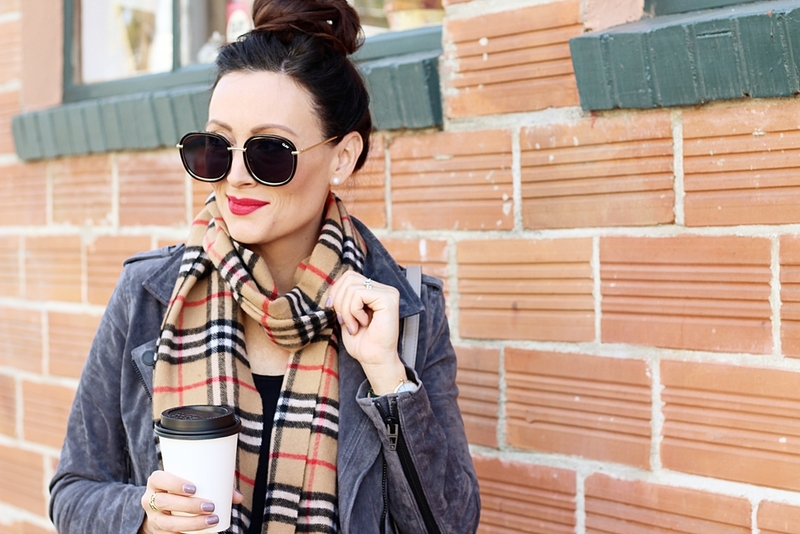 Hunter boots, designer sunnies, a classic Burberry scarf, a Tory Burch black bag…..Well, I’m here to tell you that they are and WHY. I LOVE a good Target sweater for under $20. I’m all about that, BUT there are times when I also like to splurge on a closet staple that will be in my wardrobe rotation for years. I’ve talked about closet staples before and honestly you have to ultimately decide what YOUR closet staples are. I want a well made, good moto jacket that will last me a long time. 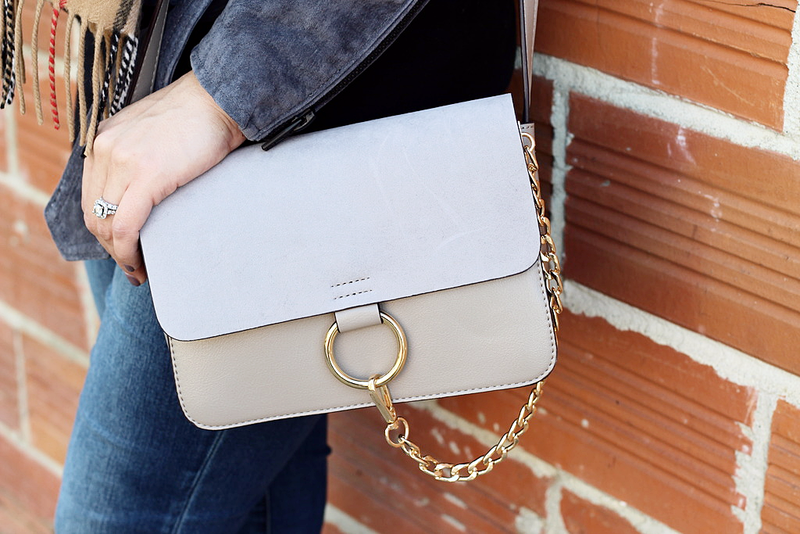 A neutral color that will go with everything. Something I can easily grab out of my closet on those days when I have “nothing to wear” because I know if anything, it will look good. To me, these splurges are worth the money because I get my wear out of them not just for a season, but for MANY seasons as they are a classic style, not just a trend. You get the point. It goes with just about everything, making it worth the investment. Have too many items on your “splurge” list? Focus on one piece at a time and grow your dream closet that way!